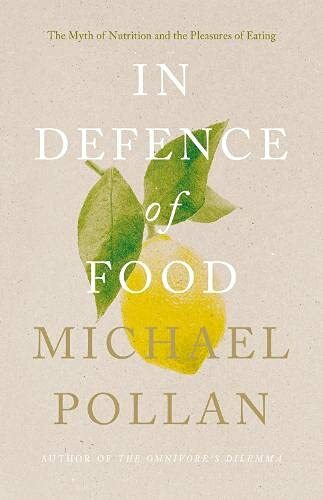 Michael Pollan's In Defence of Food is a simple invitation to junk the science, ditch the diet and instead rediscover the joys of eating well. 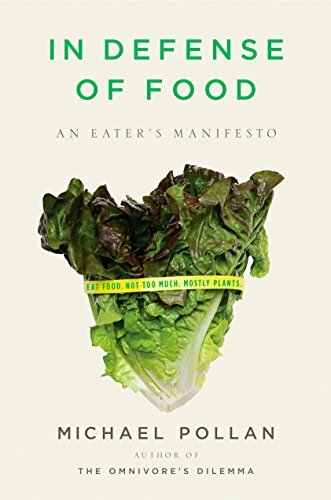 This book is a celebration of food. By food, Michael Pollan means real, proper, simple food - not the kind that comes in a packet, or has lists of unpronounceable ingredients, or that makes nutritional claims about how healthy it is. More like the kind of food your great-grandmother would recognize. By following a few pieces of advice (Eat at a table - a desk doesn't count. 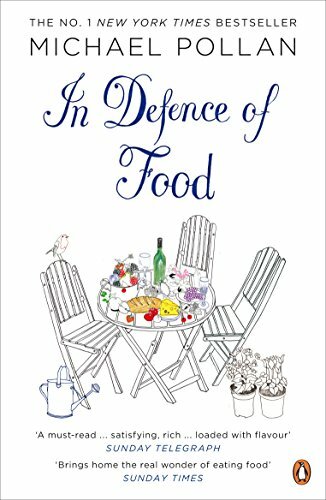 Don't buy food where you'd buy your petrol! 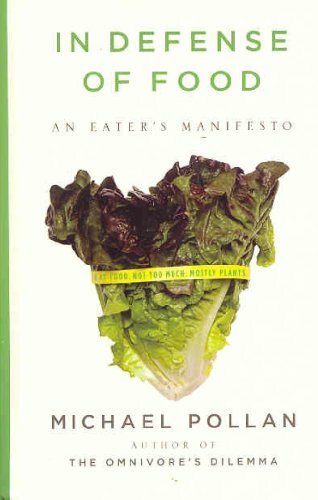 ), you will enrich your life and your palate, and enlarge your sense of what it means to be healthy and happy. 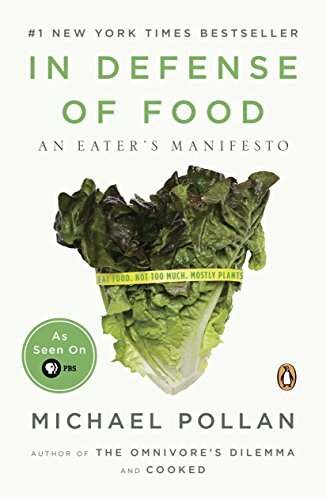 It's time to fall in love with food again.